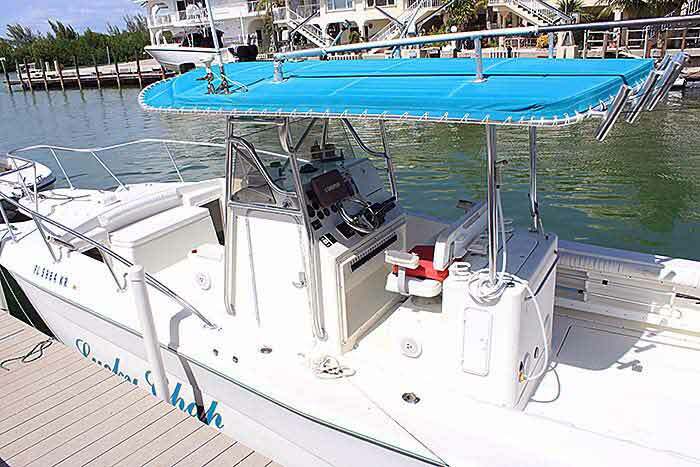 This Hydrocat Catamaran is one of the most comfortable rides available on any sport fishing boat in its class. 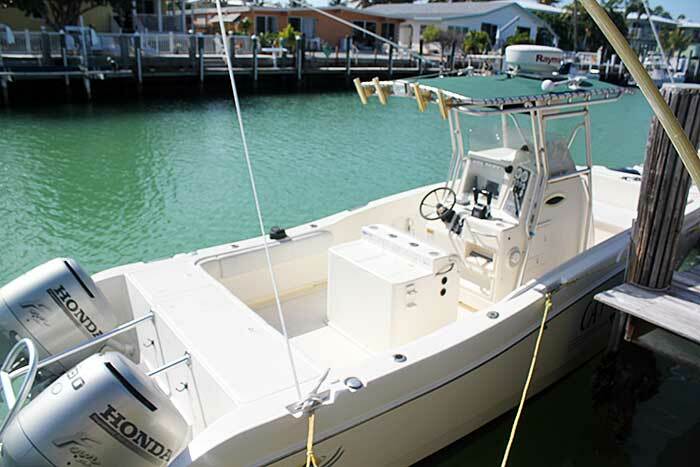 This 30' HydroCat is a big, beamy, heavy offshore battle wagon designed for big time fishing. 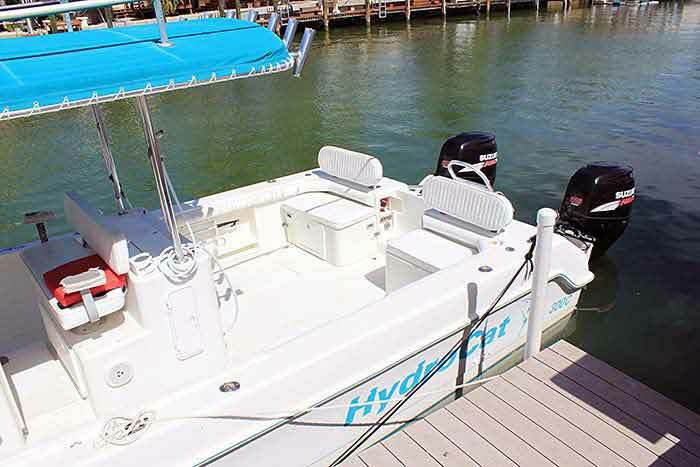 HydroCats are known for their heavy duty construction and most models were custom built for their owner's specific needs and requirements. 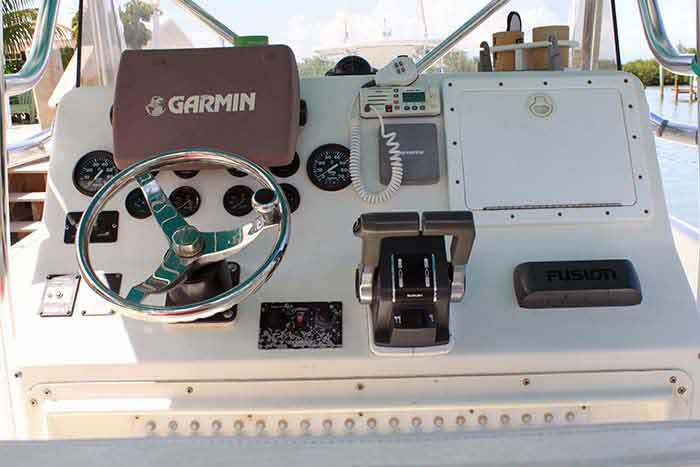 The walk around cockpit is huge, with dual fish boxes, dual live wells, bait station, walk through transom, gunnel storage, and rod holders all around. 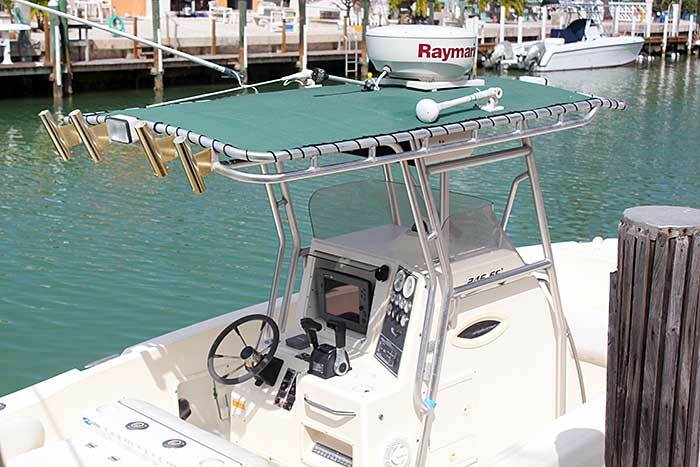 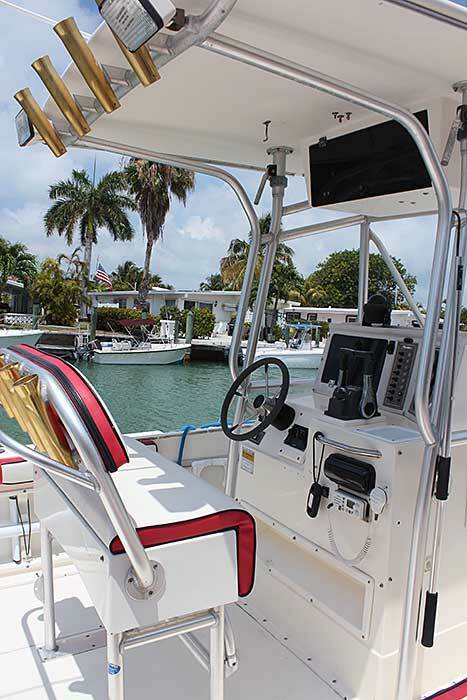 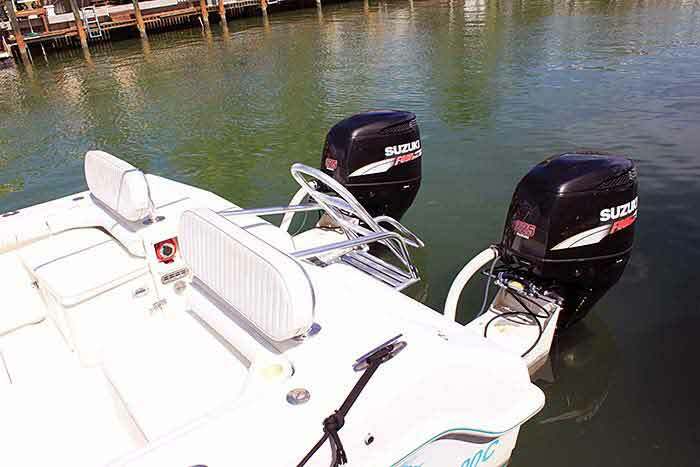 Her helm is oversized and extremely well laid out with gauges, switches, stainless steering wheel, GPS/Radar, drink holders, and many other great features making this Hydrocat and excellent choice for your next fishing or scuba diving trip in the fabulous Florida Keys. 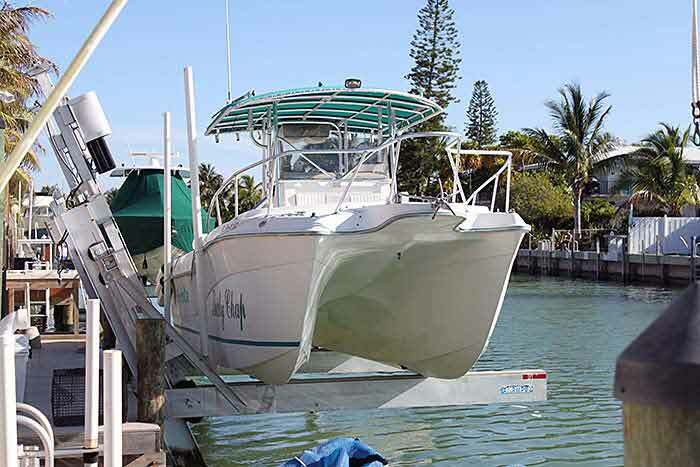 This WorldCat Catamaran is one of the most comfortable rides available on any sport fishing boat in its class. 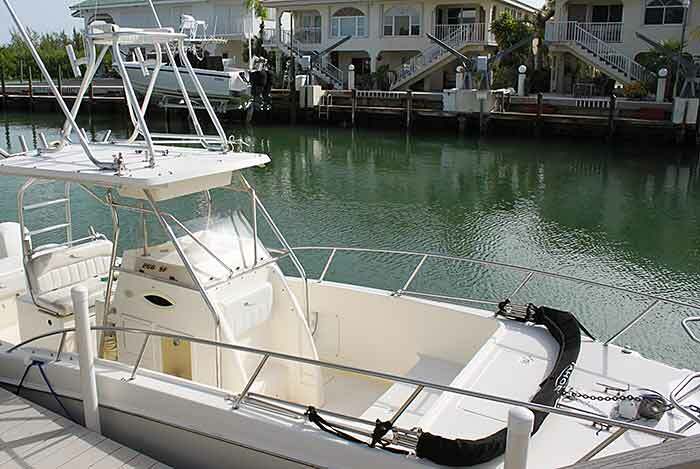 This 26.6' WorldCat has a crows nest for the fisherman's convenience, it is a big, beamy, heavy offshore battle wagon designed for big time fishing. 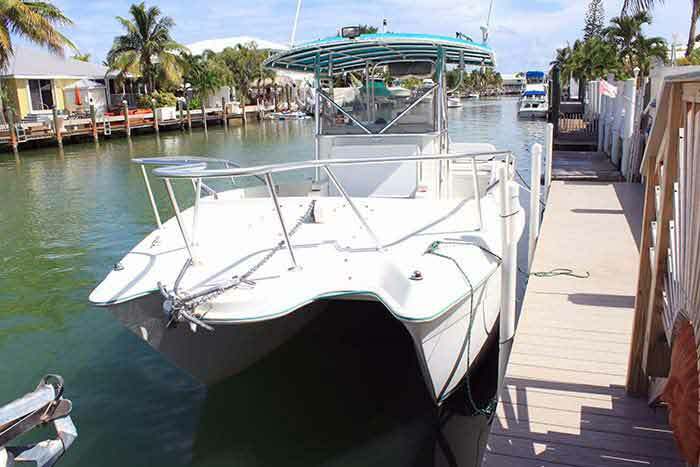 WorldCats are known for their heavy duty construction and most models were custom built for their owner's specific needs and requirements. 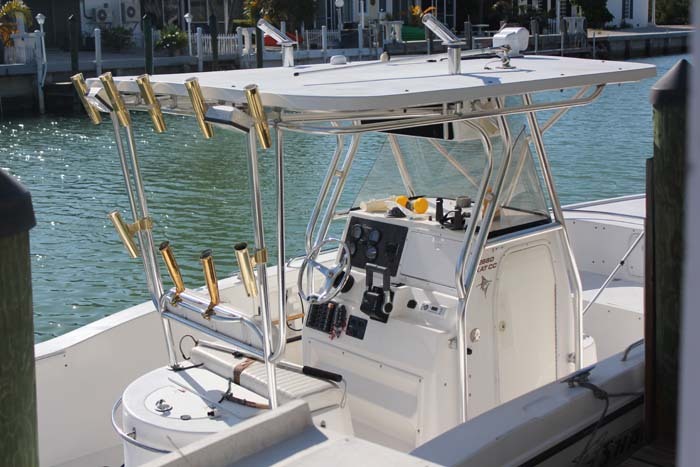 The walk around cockpit is large, fish box, live well, bait station, walk through transom, gunnel storage, and rod holders all around. 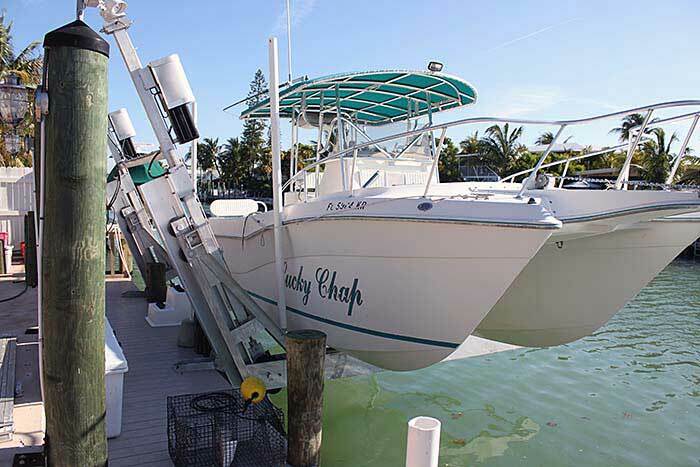 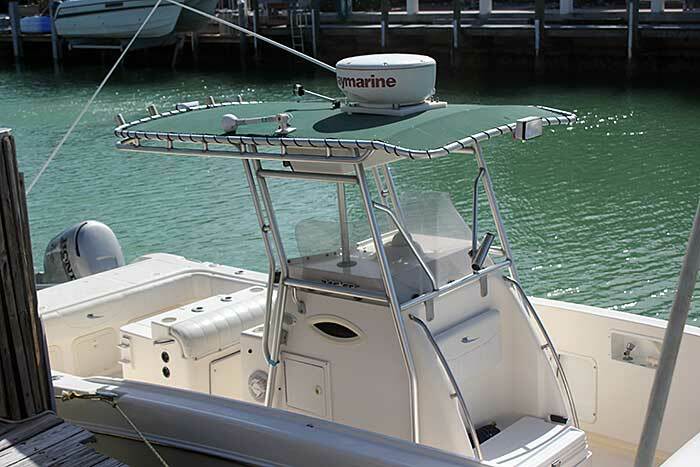 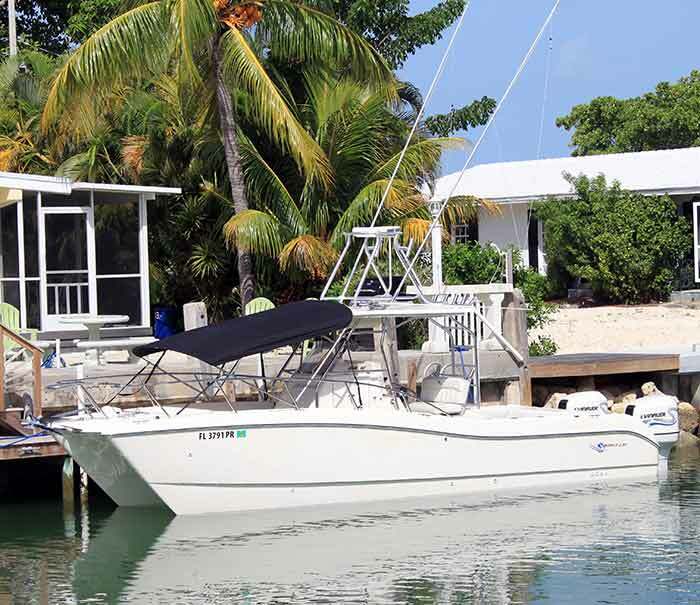 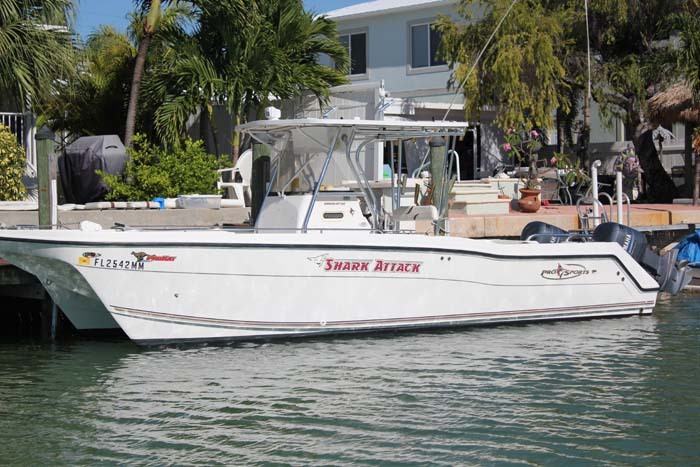 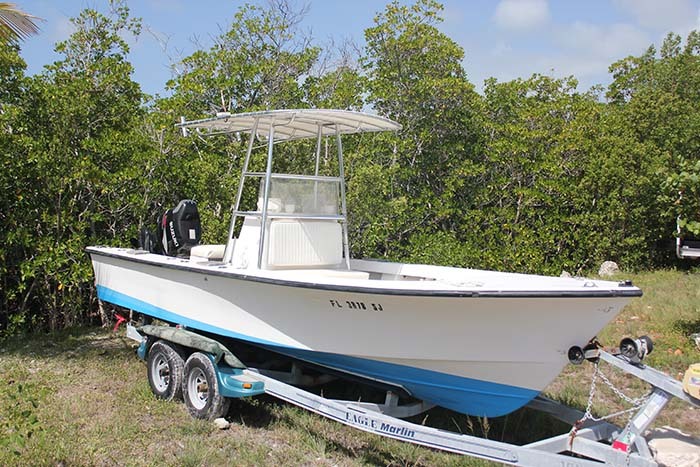 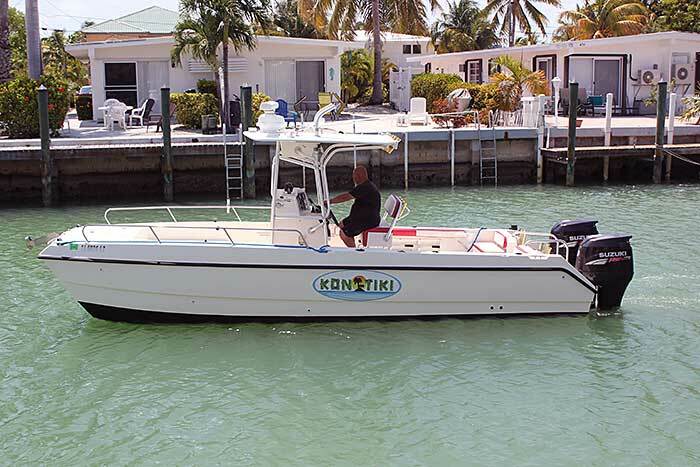 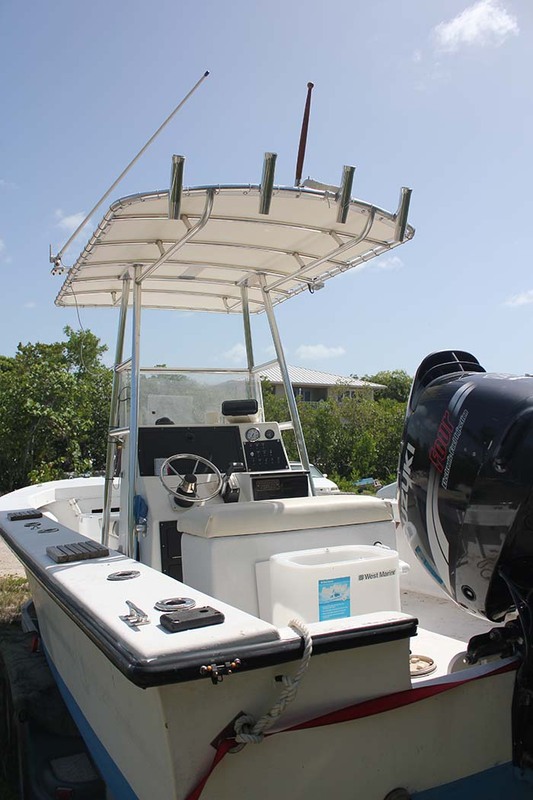 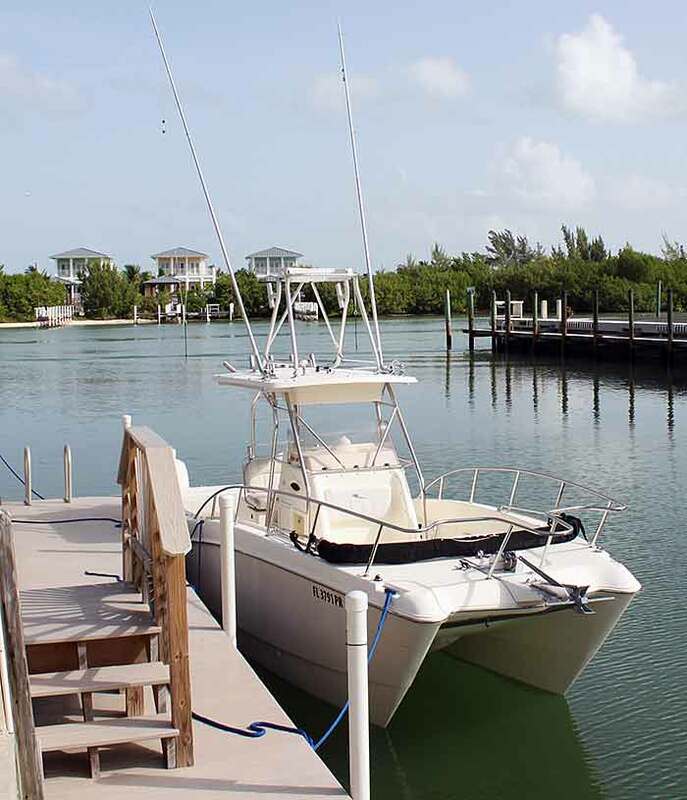 Her helm is oversized and extremely well laid out with gauges, switches, stainless steering wheel, GPS/Radar, drink holders, and many other great features making this WorldCat is an excellent choice for your next fishing trip in the fabulous Florida Keys. 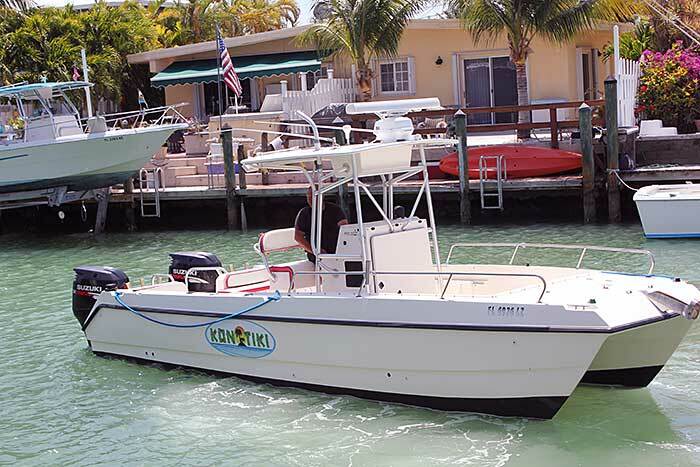 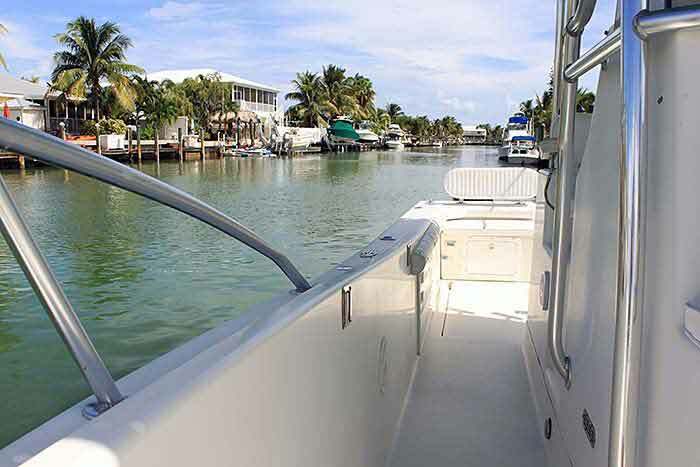 Exceptional pricing for your Marathon, Florida boat rental. 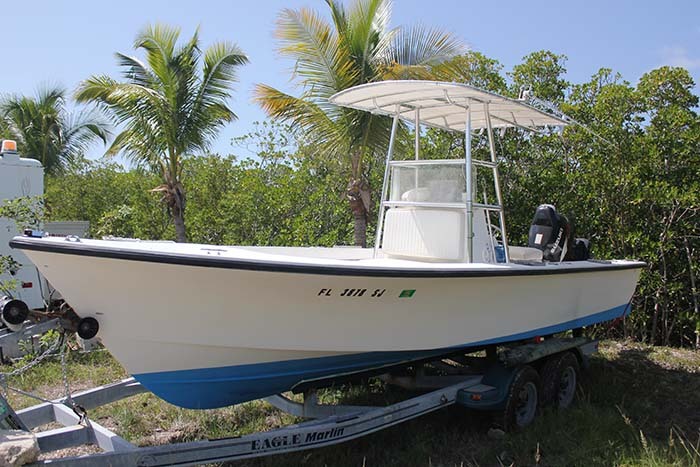 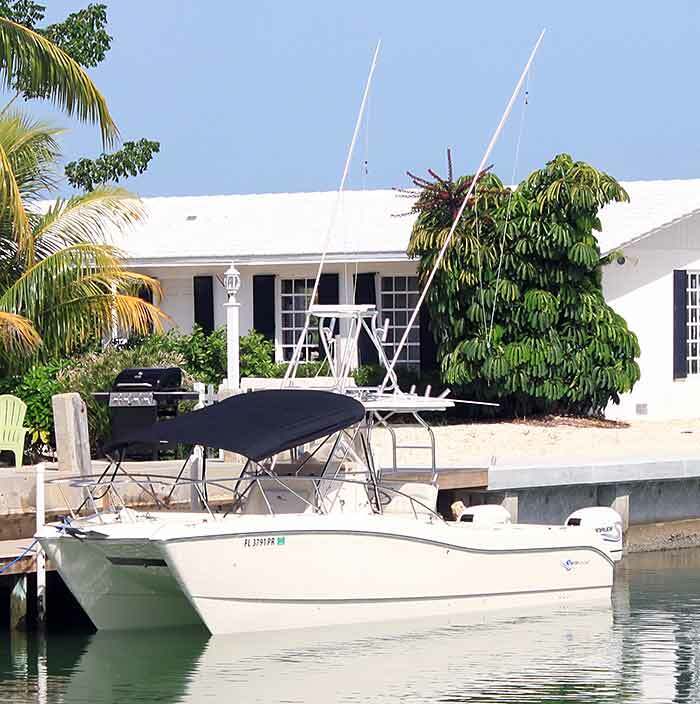 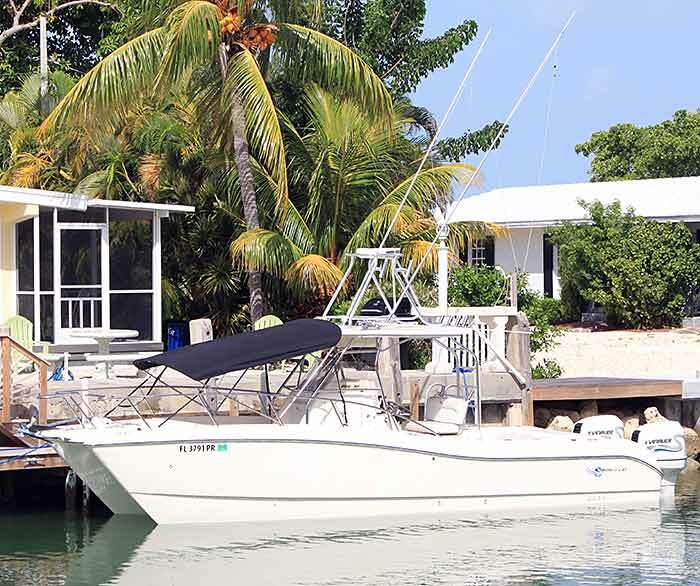 Perfect for fishing in the Florida Keys! 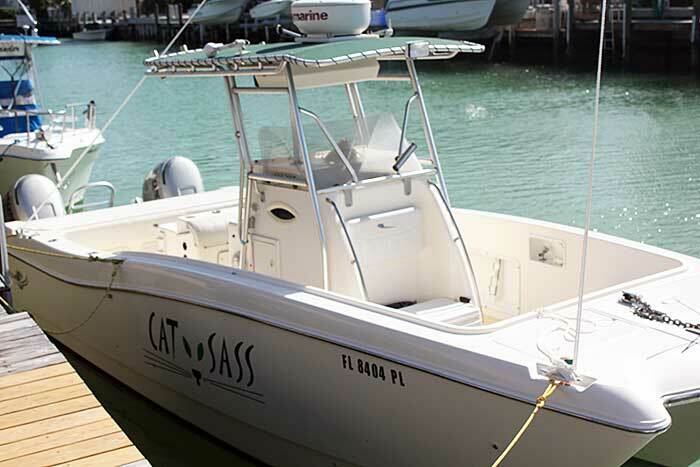 This Pro Sports Pro Kat is a common sense fisherman with her catamaran hull providing safety, stability, room, and speed. 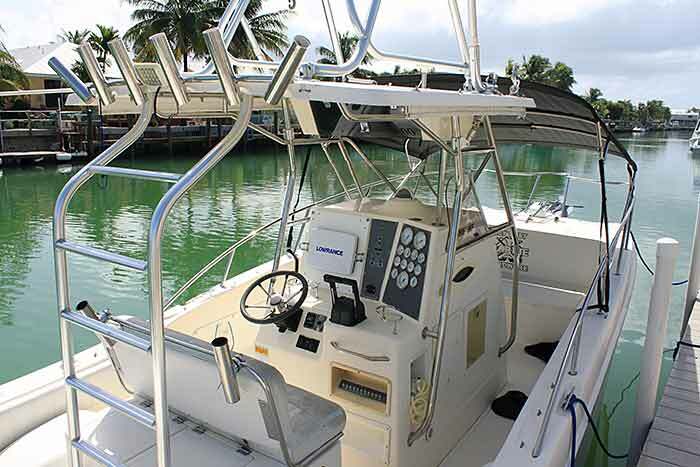 With a large cockpit with plenty of room fore and aft. 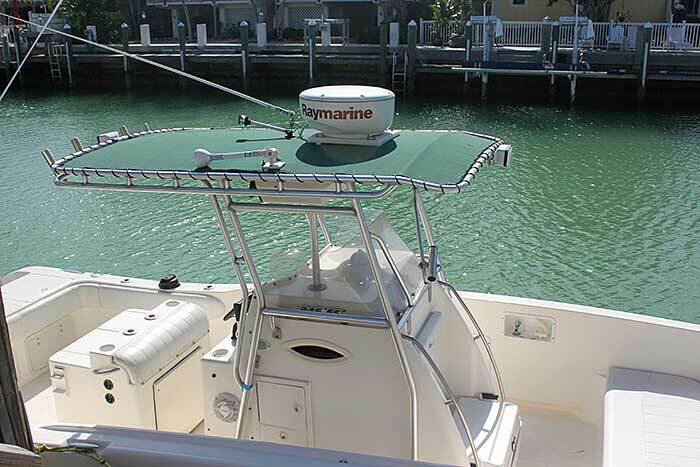 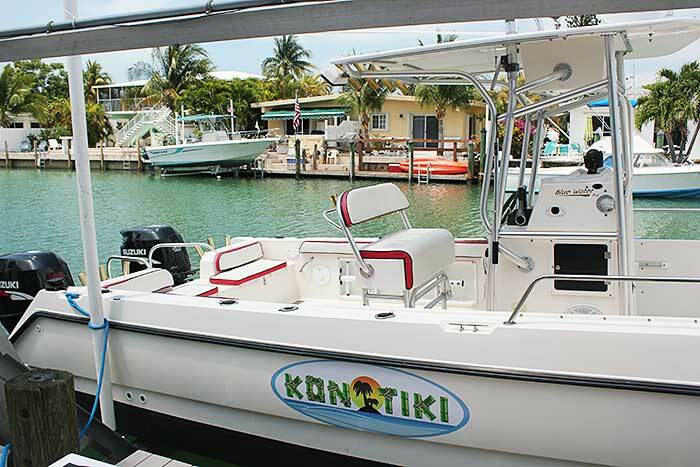 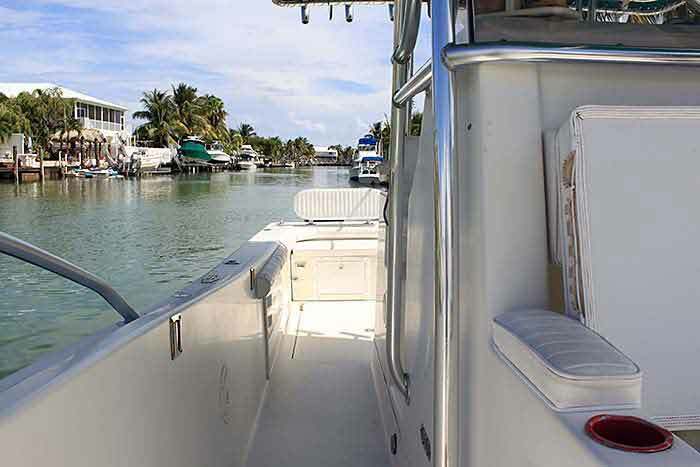 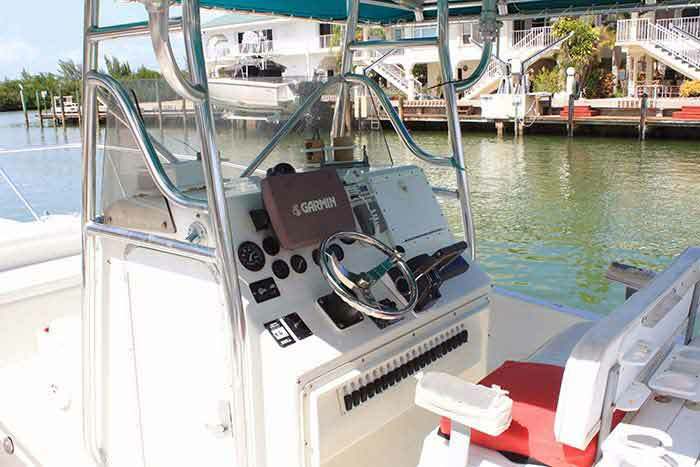 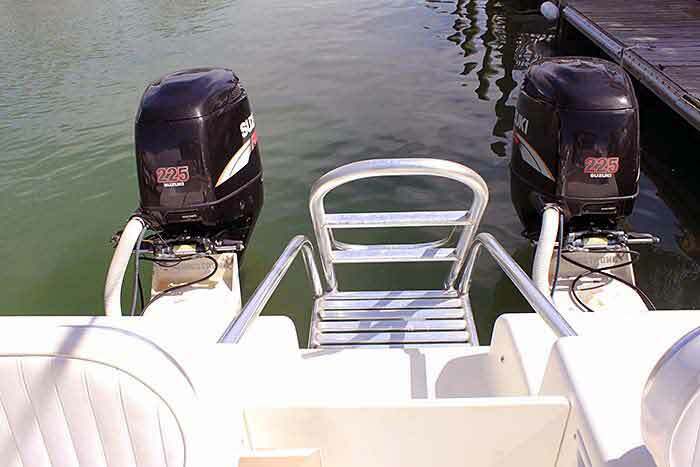 This center console provides the fish-ability and comfortable ride that you want while boating in the Florida Keys. 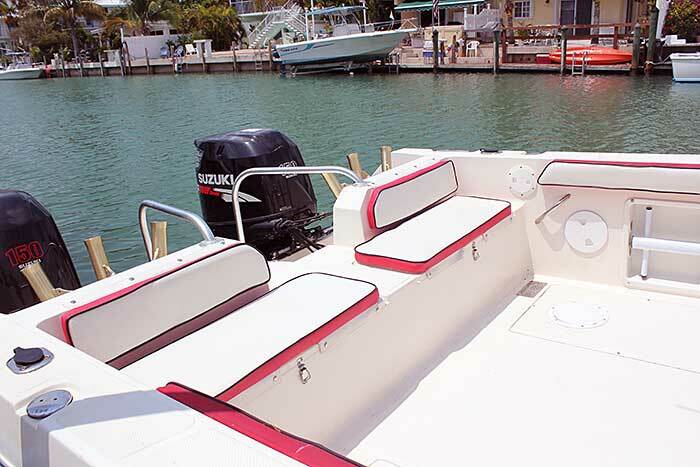 There is plenty of room for six adults with bow seating, forward console seat, and rear jump seats. 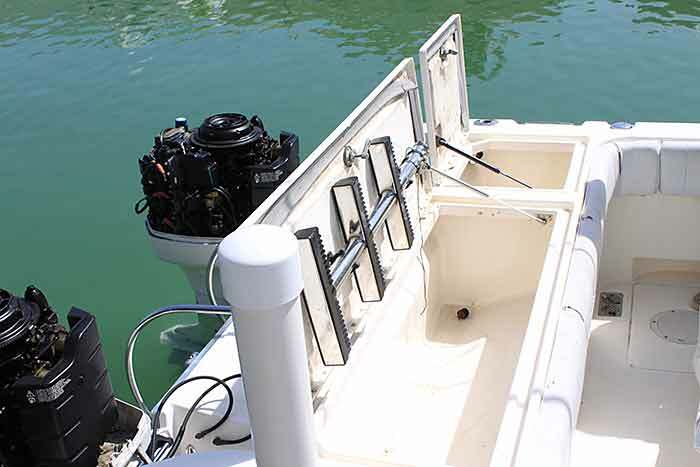 This World Cat has great fishing features and a well thought out design, Plenty of storage for rods, gear and fish. 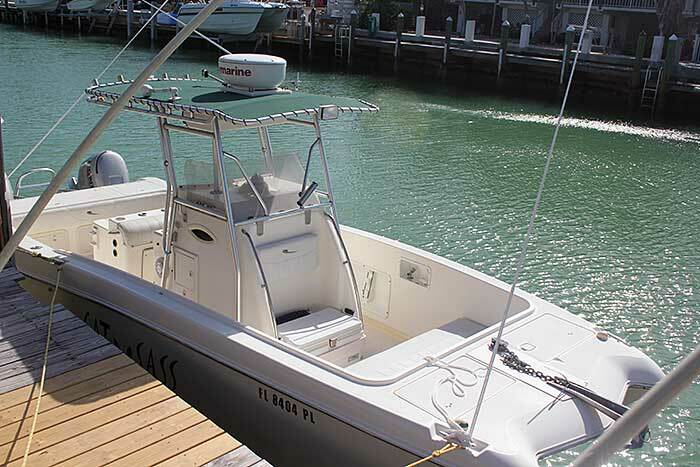 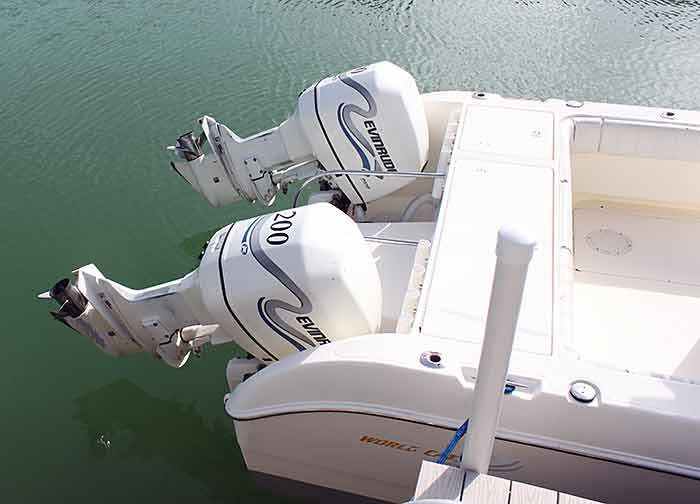 Large center console with forward seating and dual transom doors that can also be used as transom seating.